According to the American Migraine Foundation, up to 90 percent of self-diagnosed sinus headaches are migraines. It can be difficult for most people to understand migraine vs headache symptoms. At first glance, it may seem like this is merely a difference in terminology. However, it’s important for people with pain in the head and neck to understand the nature and cause of the pain. Only then can you know what your headache is telling you. The word “headache” is an all-encompassing term that people use to describe most any type of pain that originates from the head and neck. A headache can cause the sufferer to have sharp or dull pain on any or all parts of the head and neck. It typically can last for a few minutes or a few days. Headaches can come on without warning or get worse gradually. Furthermore, headaches can present with other symptoms as well. If it’s caused by a sinus infection, the headache may come with mucus and fever. There are several types of headaches that are not migraines, each with different causes. The nervous system is complex. It affects every part of the body. Likewise, every part of the body can affect the head and neck. Therefore, there are plenty of different causes of headaches that are not migraines. People can experience a concussion headache, headaches as part of the flu or a cold, or even from allergies. Below are some types of headaches that people sometimes misidentify as migraines. As the name suggests, cluster headaches come in cycles and often occur frequently for some time. This rare type of headache can be some of the most painful. During the cluster periods, you may experience extreme pain often. This period can last for months at a time. As you will see, some of these symptoms are like what people experience with migraines. These simalarities can make it particularly difficult to tell the difference between headache and migraine. However, the cyclical nature of cluster headaches is unique. When the cluster period ends, you may go for months or even years without a headache before another cluster period. Unfortunately, there is no cure for cluster headaches. However, oxygen therapy, injections, and some high blood pressure drugs can help ease symptoms. Chiari malformations can often cause headaches. There are three types of Chiari malformations, all of which cause brain tissue to grow past where it otherwise would and into the person’s spinal canal. The most common Chiari malformation is type one and typically develops in late childhood. Chiari malformation types two and three are present at birth. Doctors can sometimes diagnose these malformations through a sonogram before birth. With all kinds, some people may never experience any symptoms from the malformation while others may have life-altering symptoms. Many people assume they have a sinus headache when they have a migraine. Because the symptoms are often so similar, the migraine vs headache debate leaves many people wondering what is wrong. However, there are fundamental differences between the two that you should know. Sinus headaches cause pressure and pain in one particular area of the face or head. For example, if the sinuses behind your eyes are inflamed, you will feel the pain there. Often, the affected area is tender to touch, and the pain only gets worse when you move your head forward. In most cases, sinus headaches appear first thing in the morning because the mucus is allowed to pool overnight and start causing problems. As you sit up and go about your day, the symptoms will lessen. Because a sinus headache is similar to the pain you may feel during a migraine, some people call these headaches “sinus migraines.” However, this is a misconception. A migraine is not a severe headache; it is a set of symptoms and a complex condition. In some cases, your doctor may prescribe antibiotics to treat the underlying infection. 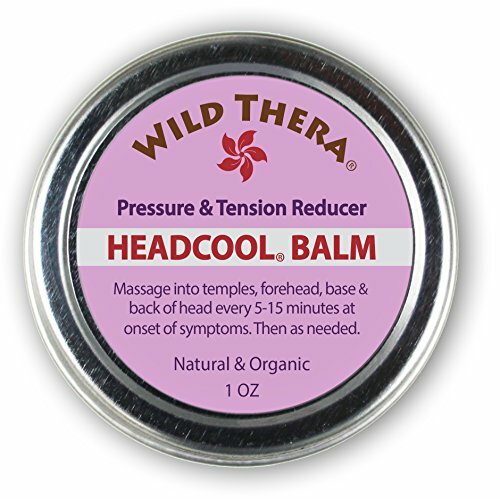 Sinus headaches disappear when the cause of the inflammation, such as the cold, passes. Thunderclap headaches are some of the most immediately dangerous types of headaches you can experience. Most of the time, these headaches serve as red flags for a life-threatening condition connected to brain bleeding. A thunderclap headache is unlike any other type of pain. These headaches come on suddenly with severe pain. In fact, a thunderclap headache may peak within just one minute. After the peak, it can take at least an hour for a thunderclap headache to disappear. Some people may experience the pain for a week. Sometimes, a thunderclap headache will also cause pain in your neck and all the way down the back. Wherever it occurs, people describe these headaches as worse than any pain in their lives. You may also lose consciousness or vomit. If you experience what you believe could be a thunderclap headache, seek emergency medical attention. Although it may be part of a non-fatal condition, you need to rule out the most dangerous causes immediately. Headaches are uncomfortable enough, but migraines are something entirely different. A migraine is a condition that is complex and includes several symptoms. While the most prominent symptom of a migraine is often a horrible headache, you may experience much more. Migraine pain is typically throbbing or pulsating temple headache. It can feel like each time your heart pounds, your pain surges. Most times, this pain starts on one side of the head. Sometimes this pain may stay on that side, but it can spread. It may also get worse with light or sound. A single migraine attack can last anywhere from four hours to three days. As you can imagine, this condition can disrupt your entire life. The pain and other symptoms can keep you from work, family events, and more. Once your headache is gone, other symptoms may continue. You may feel exhausted or like you cannot think clearly. You may even feel pain and stiffness in your neck after all other symptoms have gone away. Like with headaches, there are many different types of migraines. Throughout your life, you may only experience one type or many variations of this condition. It’s vital for people with headaches to understand the many types of migraines there are so that you can know when they hit. The most common migraine is a migraine without an aura. In fact, an estimated 70 to 90 percent of people who have migraines have this type. This migraine is characterized by a pulsing pain that worsens as you move or with exposure to light and sound. A migraine without aura is also known as a common migraine or a hemicrania simplex. A common migraine can last up to 72 hours if it is left untreated or if you treat it improperly. The second type of migraine comes with an aura. This type is also known as a classic migraine. A classic migraine occurs in about 10 to 30 percent of migraine patients. It presents with the same symptoms as a common migraine, and then some. These symptoms lead some people to call this condition an ocular migraine. However, vision problems aren’t the only neurological symptoms associated with a classic migraine. You may also feel dizzy, tingling in your arms and legs, weakness in the body, or vertigo. A few people have also reported problems with speech, hearing, and memory. The aura symptoms take about five to 20 minutes to develop. They can last about an hour. Sometimes, a person can have a migraine aura without headache. This is because a headache is one symptom of the migraine condition. The study of migraines is still in its infancy. Scientists have a long way to go before we can fully understand the causes of migraines. However, researchers have come to understand a few reasons why some people have migraines and others do not. They have also discovered some potential triggers. Scientists believe that genetics play some role in migraines. If someone in your immediate family suffers from migraines, you are more likely to have them too. However, the genetic component doesn’t stand alone. You can have migraines even if your parents and siblings do not. Your age may play a significant role in whether you have migraines or not. For most people who experience these symptoms, the first migraine may happen during adolescence. Typically, the frequency and intensity of the migraines will peak in your 30s and get gradually better after that. Researchers have a better understanding of what environmental factors can cause migraines to happen. However, doctors don’t yet understand why each of these triggers causes the reaction they do. Furthermore, what triggers one migraine sufferer may be entirely safe for another. Women are more likely to get migraines. One reason for this might be that hormonal changes before menstruation can trigger migraines. Furthermore, certain hormonal birth control methods can worsen migraine symptoms in some women. Consuming certain foods and food additives can trigger a migraine in people as well. Aged cheeses, aspartame, and MSG may all cause migraines. Alcohol and caffeine may also cause migraines. Not eating can cause problems, too. Skipping just one meal can trigger a migraine in some people. Stress is another part of everyday life that can set off a migraine. Whether the stress comes from work, home, school, or another source, it can cause disruptive migraines. Furthermore, stress can cause trouble with your sleep patterns, which also trigger migraine symptoms. In some people, over stimulation of certain senses can bring on a migraine. A particularly strong smell, loud sound, or bright light can cause symptoms to appear almost immediately. Other changes in the environment, such as quick weather changes, may cause these symptoms as well. Although headaches and migraines can seem quite similar, they are completely different. A headache is a symptom. On the other hand, a migraine is a condition that often comes with a set of other symptoms. While both headaches and migraines include pain in the head and neck, it’s important to understand the difference. Let’s take a deeper look at headaches vs migraines so that you can know what you are up against. There is a common misconception in the public that the only difference between a headache and a migraine is the intensity. Many people believe that a migraine is just a headache that is particularly painful. This myth couldn’t be further from the truth. In fact, some headaches, such as thunderclaps, can be even more intense and dangerous than a migraine. When you try to determine if your pain is a headache or a migraine, resist the urge to compare the strength of your pain to someone else’s. People experience pain differently. A migraine typically lasts anywhere between four hours and three days. Remember that the residual neck pain can last much longer than that as well. Headache pain can last for different lengths, depending on the cause of a headache. For example, thunderclap headaches last about an hour but peak within 60 seconds. Meanwhile, sinus headaches can come and go for as long as you have an infection. Be sure to track the time your headache starts and when it ends. This can help your doctor with a diagnosis. Researchers aren’t sure why some people get migraines, and some people never do. However, they have discovered some triggers in people who are prone to migraines. Certain foods and environmental factors can bring a migraine on suddenly. On the other hand, headaches typically have an apparent source. Because a headache is a symptom of a condition, finding the cause is important. If you have other symptoms associated with sinusitis, you may have a sinus infection that causes a headache. If you have a Chiari malformation, it can trigger severe headaches when you sneeze or cough. If you have an existing neck problem, then you may have cervicogenic headaches which means that they stem from the neck. Thunderclap headaches usually have more serious causes that need immediate medical attention. You may also get a headache from trauma to the head that causes a concussion. Some people with seasonal allergies also report frequent headaches. Analyzing the co-existing symptoms with your pain can help you understand what the cause might be. If the pain in your head and neck are accompanied by vision difficulty, irritability, and other neurological symptoms, you may have a migraine. Headaches can also present with a wide range of symptoms. You may have tenderness to the touch, fever, and mucus in the nose if you have a sinus infection. If you lose consciousness during your headache, you may have experienced a thunderclap. When you speak to your doctor about your headache or migraine, be sure to mention other symptoms. Even signs that may seem completely unrelated can help your medical team understand what is going on and prescribe treatment accordingly. Your doctor will determine your treatment based on what he or she believes causes the pain in the first place. Typically, your doctor will want to treat the underlying cause, if possible. However, sometimes no such cure exists. In this case, your medical team will help you manage the pain. Different pain medications can be prescribed to help control migraines and headaches. If you can identify your migraine’s triggers, you may just avoid those triggers to remain pain-free. The aspects of a headache vary widely depending on the cause of the pain. For example, a sinus headache may be worst upon waking, only to gradually subside as the day goes on. Migraines, however, typically follow a particular structure that includes more than a headache. The first phase of a migraine is the prodrome phase, also known as the warning. This period can start between days and hours before you experience the pain of a migraine. Only about 40 percent of people with migraines recognize this phase. It’s possible that many people don’t notice that prodrome phase because its symptoms are generalized and mild. During this period, you may have nausea, fatigue, increased thirst, a stiff neck, and a general unwell feeling. When you know what to look for, your symptoms may become evident. The second stage of a migraine is the aura. Some people do not experience the aura, and some do. People can also have the aura phase without a migraine headache. The aura period of a migraine, if it does happen, causes visual disturbances, neck pain, dizziness, and sensitivity to senses. The next part of a migraine is what people most commonly associate migraines with: a headache. This stage can bring excruciating pain that lasts from four hours to three days. The pain may start on one side of the head and spread from there. It is typically a throbbing, pulsating pain. Once your headache has subsided, the postdrome stage begins. This phase can last as long a few hours or even a couple of days. Some people describe the symptoms of a hangover, in which they feel groggy and exhausted. You may also feel significant neck pain and lasting stiffness. Run-of-the-mill headaches can respond to over-the-counter medications like NSAIDs and ibuprofen. When those don’t work, your doctor may prescribe other remedies to relieve your pain. Antidepressants such as nortriptyline and some SSRIs can end chronic headaches. For particular types of headaches, doctors may turn to anti-seizure medications, such as gabapentin and topiramate. Some patients also respond well to injections of Ona botulinum toxin, which is commonly known as Botox. If your headaches stem from the neck, then chiropractic or physical therapy are likely helpful. The first step in treating migraines is to prevent them. You can work with your doctor to identify your triggers and avoid them. However, even when you avoid known causes, you can still end up with a migraine. Luckily, treatments are available to help. When pain does strike, you have many options available. 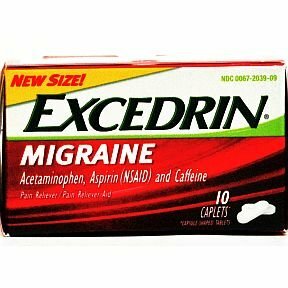 Aspirin and ibuprofen can help lessen the pain during a migraine attack. 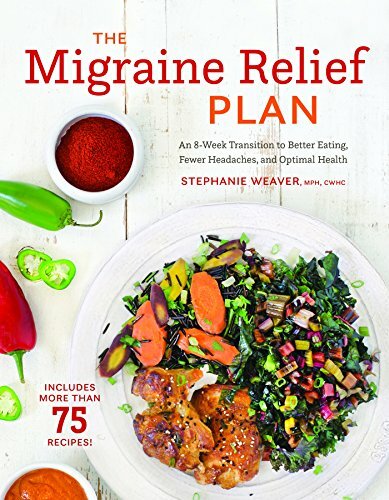 Triptans can help stop migraine headaches by constricting the blood vessels in the head. In severe cases, a doctor may prescribe narcotics to relieve the pain. Although migraines are associated with headaches, the two conditions are quite different. Once you know which issue you have, you can seek the correct treatment and get to feeling better soon.